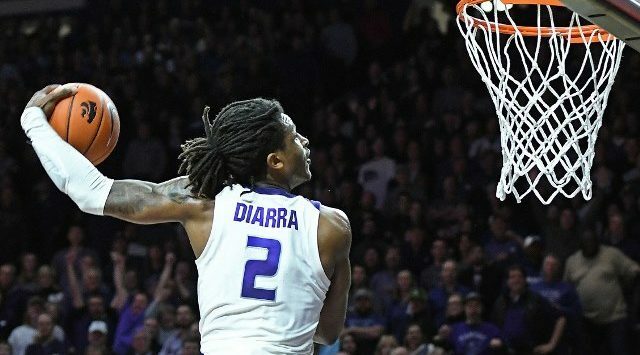 AUSTIN, Texas – Sophomore guard Cartier Diarra sustained a hand injury that will require surgery and will be out for an undetermined period of time, head coach Bruce Weber announced today (February 12). Diarra did not make the trip to Austin, Texas, where the Wildcats face Texas (14-10, 6-5 Big 12) tonight at 8 p.m., CT at the Frank Erwin Center. A reserve in all 23 games with 7 starts, Diarra has averaged 6.3 points on 39.5 percent shooting (45-of-114), including 32.8 percent (20-of-61) from 3-point range, to go with 3.2 rebounds, 1.7 assists and 1.0 steals in 25.0 minutes per game.